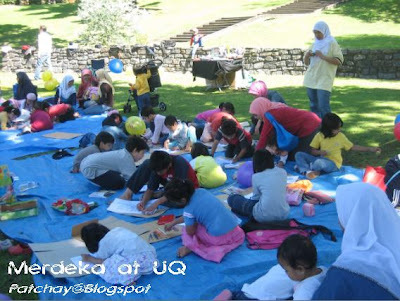 Merdeka Gathering 2007 at The University of Queensland. 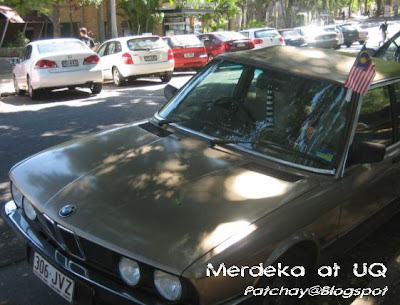 Flag and Car.... familiar to you? 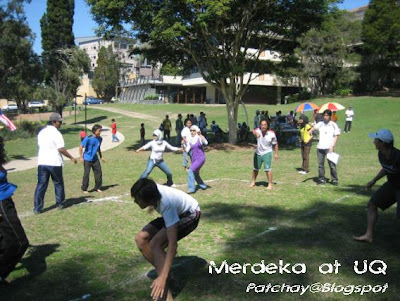 Yes this is Merdeka Celebrations at my university here in Brisbane, Australia. 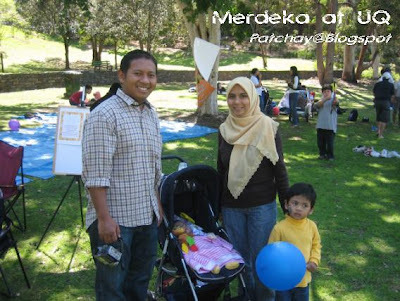 Not an ordinary Merdeka though. This is the year my country is celebrating its 50 Years Anniversary. Golden Jubilee! 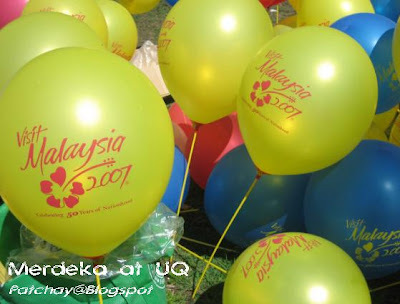 Celebrating 50 Years of Nationhood. 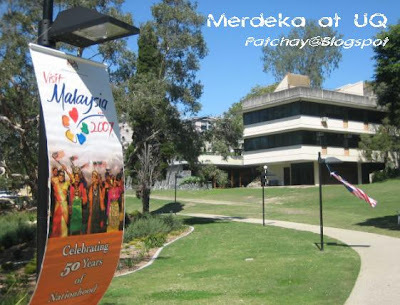 Visit Malaysia Year 2007 Tourism Campaign Banner at uni ! Wow, I was totally surprised to see soo many kids !!! 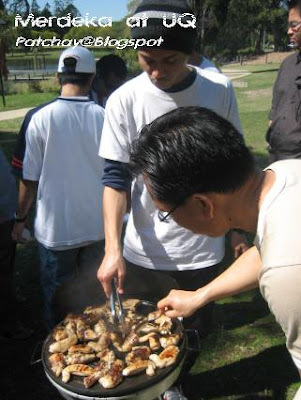 Racial integration does happen at overseas too! Can you remember this game? I used to play this in primary school. Phew, those were the days... I'm missing them alot ! 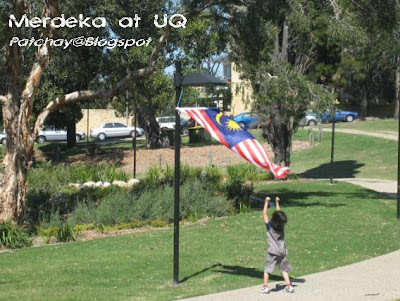 Kami sekeluarga mengucapkan Selamat Hari Merdeka yang ke-50 kepada semua warga Malaysia di Malaysia dan Brisbane, Australia. 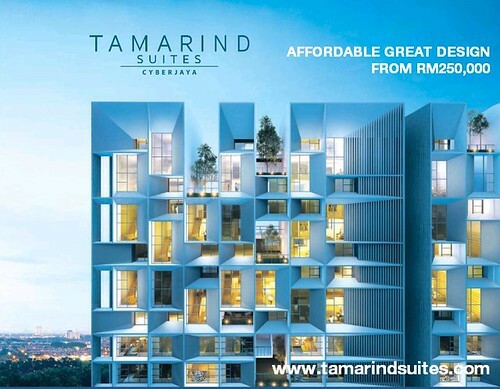 Saya Anak Bangsa Malaysia !!! Weird Science on November 04, 2007 3:38 AM This comment has been removed by a blog administrator.